Councillor William Webb has been elected as the new chairman of Lincolnshire County Council, as the makeup of the council and its executive is set. Council leader Martin Hill named the members his new executive, and the new chairman and vice chairman were elected at the meeting of the council on Friday, May 15. With deputy Councillor Trollope-Bellew, the chairman is looking forward to his new year in office after serving 14 years on the county council. Councillor Webb represents Holbeach Rural and lives in Gedney. He was an executive member for 10 years and has said he is interested in economic development and hopes to promote business in the county and support employment. As chairman, he will be raising money and supporting his chosen charities, the Lincolnshire Rural Support Network and the Juvenile Diabetes Research Foundation. Before accepting the role of chairman, Councillor Webb was vice chair to the outgoing chairman, Councillor Bill Aron. During his year in office, the outgoing Chairman Cllr Bill Aron raised £2,625 for his chosen charity LIVES. Councillor Webb said: “I am greatly looking forward to serving as chairman and having the chance to meet people and organisations throughout Lincolnshire’s communities. 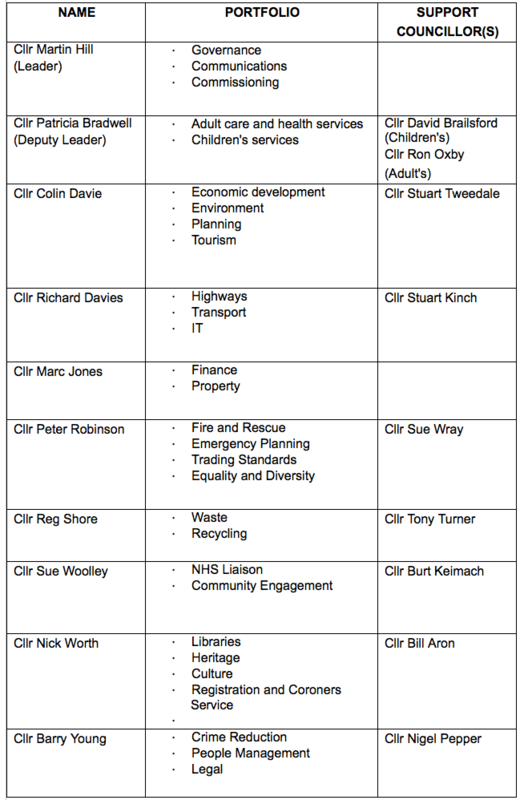 Those named as members of the new executive will be responsible for decisions on council policy. Councillor Martin Hill said: “The next few years will be some of the most challenging the council has faced, so it’s important we have the right team in place to lead us forward.